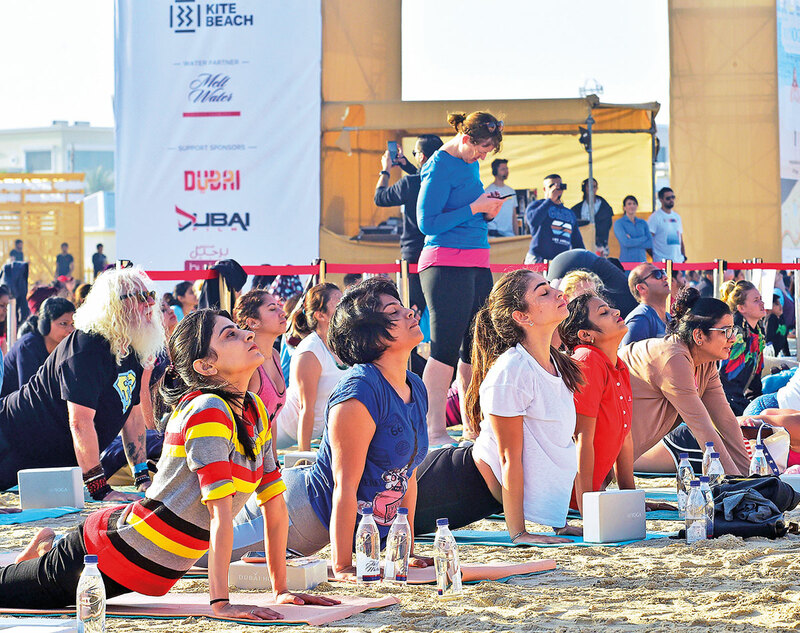 Hundreds of fitness enthusiasts took part in the third edition of XYoga Dubai festival at Kite Beach on Friday. 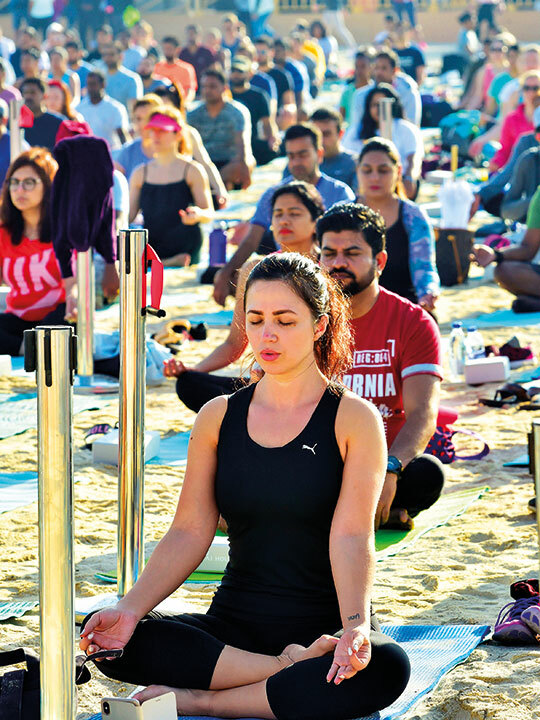 The day featured a raft of classes, workshops, activities alongside healthy food stalls, yoga equipment stores plus loads of entertainment. 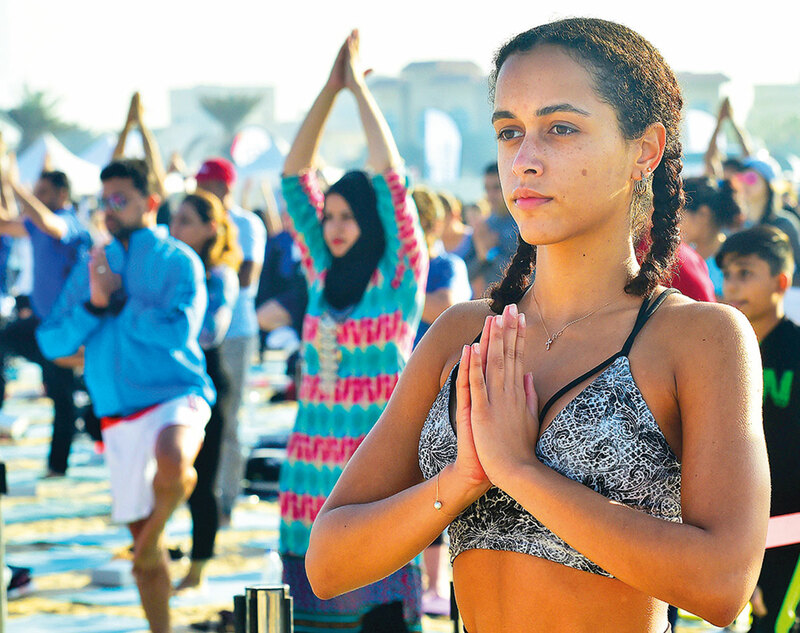 Gulf News Staff photographer Clint Egbert was there too. 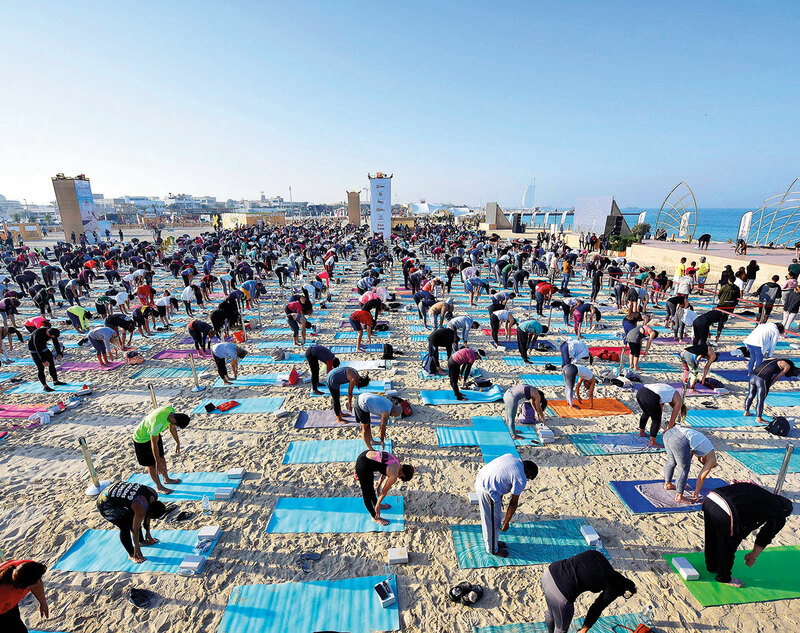 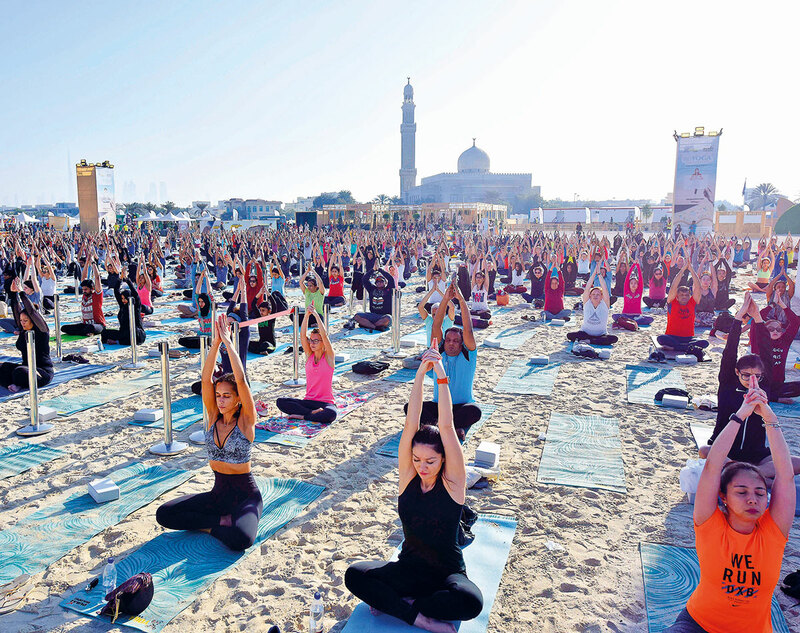 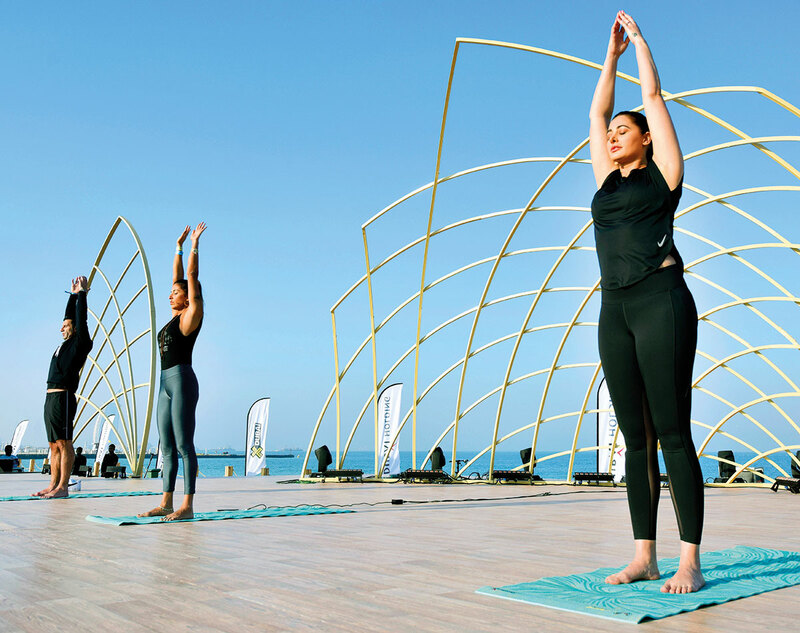 Led by renowned international and local yoga instructors, Dubai residents perform various yoga postures. 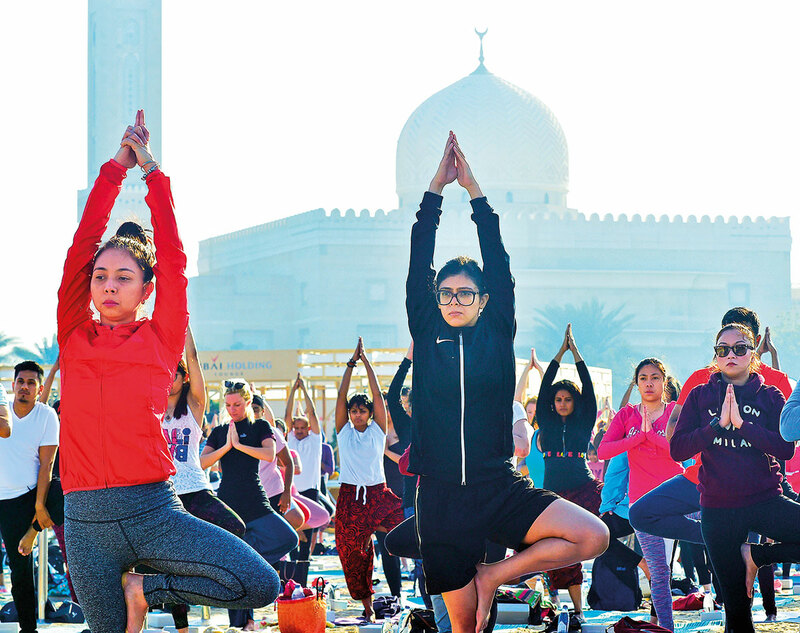 Sessions on Day One of the two-day festival included Yoga for beginners, Hulahoop Yoga – Family Session, Yin Yoga, Acro Yoga – Introduction and Techniques, Clinical Yoga, and meditation among others.